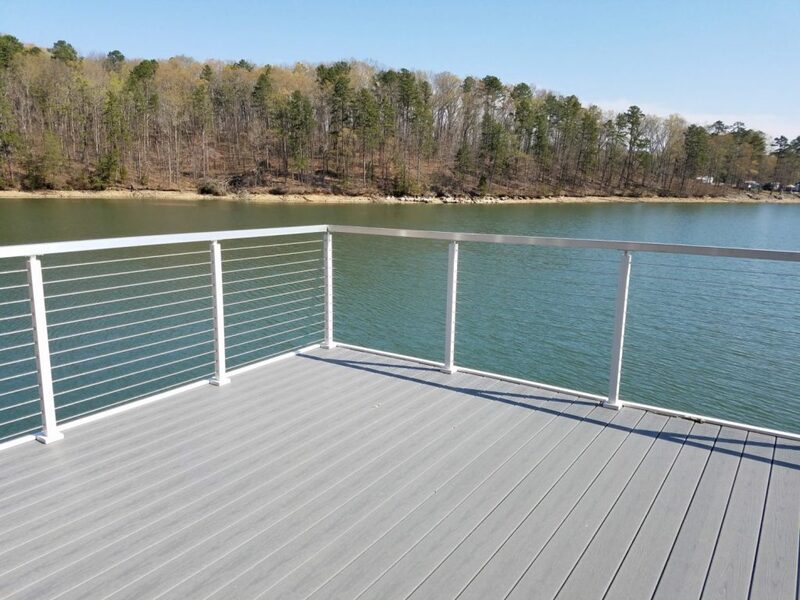 Waterfront properties often use white cable railing posts for their systems due to its clean appearance. These customers chose to powder coat their posts white for their lakefront property. The end result is a beautiful deck that is an accent against the blue water. For more information about our powder coat selection, give us a call at 1-866-226-6536. We’d love to help you find the best color for your application!